For starters, can you provide a brief synopsis of who you are and what your role is with Killing Floor 2? My name is David Amata and my role at Tripwire Interactive is Product Lead for Killing Floor 2. What this means is that I am in charge of overseeing and making decisions on the priority and direction of Killing Floor 2’s major updates. At a high level, I work every day with production to manage the development team and the other department leads to ensure our current goals are being met and that there is a consistently high level of quality for what we deliver as a team in terms of guiding overall intent. Outside of the design intent for the updates, I coordinate with our marketing team to drive our messaging and promote our updates. I also regularly communicate with our community team so that I’m able to stay informed on the pulse of the player base. From their information, I am to make an informed decision on catering our updates to the player’s desires in both improvements and new content. What I enjoy most about my role is being able to see the project as a whole and guide its overall direction while still interfacing directly with all its essential components from design, audio, programming, art, etc. It also me to utilize the creative, technical, and business-minded mental muscles every day towards my lifelong passion for making video games. Having started out in Quality Assurance then moving to Production and ultimately landing as a Product Lead, what led to this shift in your career path? Ever since my first experience playing Crash Bandicoot as a kid back on Christmas of 1997, I have known that I have had a burning desire to become a videogame creator. To that end, I have spent my life studying, preparing, and trying to make games with whatever I had available at the time. Knowing the type of games I hope to one day make, I knew I needed to have a holistic view of what it took to make a game from its component parts so that ultimately I could make creative and practical decisions that could enable all components of a game to shine. To use a metaphor, I firmly believe that knowing how “the sausage” get made, leads to better sausage makers. That being said, there’s a fairly large gap between wanting and preparing to be a professional game developer, actually being one and a larger gap still of leading of team of talented developers in the industry. Like any achievement, it all starts with a small step and I’d argue that my disparate steps within Tripwire as a QA Tester and Associate Producer informed me in a direct way of the necessary components required of a Product Lead. After graduating with a Game Design and Development degree from RIT, I managed to secure a position as a QA Tester at Tripwire Interactive. I’m forever grateful for that opportunity as I wouldn’t be here today if they didn’t place their trust in me to make my start in the industry. Given that a QA Tester has visibility on every single component of a game and how it should function, it gave me an amazing window on the inner guts of a modern video game. As an embedded tester, I interfaced every day with the other developers which provided me insight into not just the components of a game but also the processes and practices in which they were made. 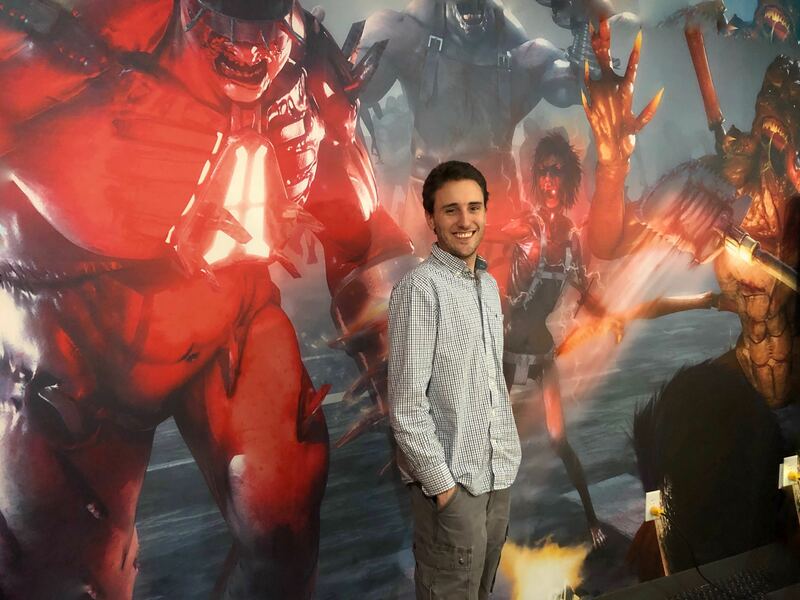 From these experiences, I was given the opportunity to take on greater responsibility in the management of Killing Floor 2 as an Associate Producer. From there, my role shifted from testing to project management in which I worked with the Product Owner to ensure that our update goals on Killing Floor 2 were being met within our development team. This would entail coordinating meetings, creating development schedules, and making sure the Product Owner knew all the concerns and factors affecting the team. In addition, I communicated with our 1st party partners to get the game and its updates through the submission and publishing process so that it could be experienced by the player at our designated release date. In this role, I was able to get a back seat view of not just the development pipelines but also the management and leadership of those pipelines to deliver a satisfying and successful end product on time and within budget. When it came time for a new project to begin scaling up here at Tripwire, resources were shuffled across teams. Killing Floor 2 continues to be successful with a steadily growing player base so it was essential to maintain that momentum while allowing others to propel the next great franchise for the studio. This created an opening for a new Product Lead to take charge of the continued development of Killing Floor 2. Being part of the project through its numerous phases and working with the team, I put myself forward for that position so I could continue to serve the project with talents I had and do my best to ensure it continued to grow. I’m extremely humbled by the faith they’ve shown in me in taking on this position and I hope can serve them and our community well. If there’s anything that my journey has taught me is that no matter what role you find yourself at the moment, that you should always watch and listen so that you can absorb as much knowledge that experience can grant as you. Almost all retained knowledge is useful if applied at the right moment. Finally, if you want to grow, demonstrate excellence in your current position first before then also doing the work of what you want to become. How long have you been employed at Tripwire? I started back in June 2016, so it's been about 2 years 8 months since I started as a QA Tester. I was promoted to Associate Producer in July of 2017 and I officially started my position as Product Lead at the end of October 2018. Take us through a typical day of work at Tripwire for you, what is it like when you show up at the office? Like many I’m sure can appreciate, I start my day with a cup of coffee before getting to my office to start up my computer. I’ll look through emails and messages, see if anything needs an immediate response and then prepare my notes and checklist for everything that’s on my current day's calendar. Shortly after that begins my morning barrage of meetings with various groups of the development team from QA, Platform, and the forward development team in quick meetings called stand-ups which are essentially daily check-ins that allows the team to communicate what they worked on yesterday, what they are working on today, and if anything is blocking them from proceeding. Sandwiched in-between that is daily bug triage in which I look at the unprioritized list of bugs reported by QA that day and determine the priority and who is the right individual to fix that issue for a designated update. That four to five meetings at the start usually takes me to lunch which afterward is typically followed by afternoon planning sessions, marketing sync-ups, management discussion, development story writing, trailer reviews, and conference calls with various external partners, among other matters. I usually take part in daily playtests with the design team in which we assess an in-development future update component like a new weapon, map, feature or design tune and provide guidance on what should be done for the next iteration. It’s not unusual for me to have 10+ meetings in a given day of various lengths not counting the numerous pop-ups in which I’m answering questions from various developers, checking in with individuals, or making decisions when someone needs to make a hard choice to solve a particular problem. Squeezed in between everything, I’m writing planning and design intent documents, updating the project’s budgetary split, reviewing people’s work from the last two week sprint, combing through community posts, reaching out to partners, checking player counts & sales, and monitoring the daily build status especially as we approach submissions/ releases. While there’s certainly a lot of ingrained elements there’s rarely ever a day exactly like the last which makes the job exciting and rewarding. While I’ve done numerous personal and academic game projects throughout my education as well as internships in Canon’s Mixed Reality program and RIT’s project development incubation program, my first professional job in the Games Industry was with Tripwire as a QA Tester right out of college. It certainly wasn’t easy as I applied to hundreds of positions across the country and faced repeated rejection. In such a competitive landscape, equal parts luck and persistence make the difference in finding the right opening. If you weren’t in the Game Industry what do you imagine you would have chosen as your career instead? I’ve been pursuing a career in Video Games single-mindedly for almost as long as I’ve been a conscious human being so I genuinely don’t know if I could answer that question honestly. I suppose there’s a possibility I could have been a military officer in the Army if I didn’t turn down my ROTC scholarship after high school. Ultimately, it came down to the school that I got the scholarship for not being the school with the best game development program. Knowing where I am now, I don’t have any regrets. What accomplishment are you most proud of while working in the Games Industry? I’ve spent my life playing on PlayStation consoles to which every generation corresponded with a different phase of my childhood development. I’ve been watching Sony press conferences for as long as they were televised or streamed enraptured by the future of the medium and what new games would represent its progress. Seeing Killing Floor 2 presented at the PlayStation 4 Pro reveal conference by Mark Cerny was an amazing experience for me as it was the moment I have transitioned from being not just a watcher of the medium but had become (even if what was just a small part) and active participant in shaping the Games Industry’s future. Could you give us a glimpse of what your focus is on right now in Killing Floor 2? My role on the project means that I need to focus on not just the current or next update but also the next year and beyond of the project at all times and how my decisions will affect the immediate and long term goals of Killing Floor 2. In the immediate, I’m most focused on seeing our Spring Update out the door smoothly as we focus on polish and fixing issues prior to release. What hobbies do you enjoy outside the workplace? I love practicing martial arts primarily within Taekwondo and sword fighting with a smattering of different styles across disciplines. Since I was a child pencil drawing has been the primary method of communicating my creative ideas. I enjoy cooking and trying to come up with new recipes through experimentation. I like studying history and politics so that I can better understand the world and bring that back into my creative endeavors. I have been known to dance when the right opportunity and music presents itself. As a great way to focus and calm the mind, I enjoy Zen Meditation which allows me to stay aware within the present amidst the various chaos and confusion of daily life and the greater aspirations of a distant but clear future. What was the first game you worked on? What other game titles were you also a part of? Professionally, Killing Floor 2 has been my life, my love, and my lady since I’ve started here at Tripwire but I was also part of the production team to launch Killing Floor: Incursion on PSVR back in 2018. Going back before that to my school days, I worked on well over a dozen little game projects from Remy & the Book of Rhymes as animator and artist for an Android tower defense game designed to teach the early fundamentals of reading to preschoolers, 2D Fighters and platformers, infinite runners, arena battlers, board games, and interactive story games. I have many games that have cherished over the years which have informed the type of creator I want to be but if I could only choose one, Crash Bandicoot 2: Cortex Strikes Back is what my heart calls back to every time. It’s not just my nostalgic childhood memory either, as I come back to playing it frequently every year. I love this game because it is a masterful showcase of platforming design genius, artistic and technical prowess for the era that holds up visually to this day (a hard feat for early-3D games), and gameplay mechanical simplicity that builds and perfects on everything that came before as a shining representation of why sequels can matter more than the original. The seeds of Naughty Dog’s greatness as a studio are shown through the orange marsupial in jean shorts. What are you most excited about in the upcoming March update and why? I’m extremely excited to unleash the Killerwatt to the KF2 community as it’s Overcharge Alt-Fire is a sight to behold and feel. There was a lot of love that went into the design, visuals, sounds, animations, and mechanics that make it a force to be reckoned with. I look forward to seeing people’s reaction to the weapon as I think it will become a new favorite amongst many. Pro Tip: The Killerwatt is most effective in long hallways that channel Zeds into tight columns. It’s got quite a kick so don’t expect to be able to swing its overcharge beam wildly in all direction. Focus aim at a target and let it rip. What is your favorite Perk to play in Killing Floor 2 and why? My primary perk is Gunslinger as I enjoy high mobility combined with precision damage. The weight of Gunslinger pistols and revolvers is low even at high tiers so I appreciate being able to carry multiple secondary weapons so I can be self-sufficient for the duration of a wave. The nail bomb grenade with its high stun incap gives me the flexibility to run away in a pinch or go on the offensive with combo Rack em’ Up headshots for stacking critical damage of the big zeds. Finally, who doesn’t enjoy going berserk with the Fanfire Zed Time skill allowing you to unload as much lead as your trigger finger can output while the world around you slows down? Any last parting words of wisdom? First, for those looking to get in the games industry, I haven’t met a single person on the opposite side of a job opening who cares what school you went to, what grades you got, or what degree you earned. This is not saying that these things don’t matter as you SHOULD get good grades and go to the place you get can the best education possible but this is just a starting point on your resume. What is going to set you apart for the one position that has thousands of applicants that also have great grades, degrees, and top schools is your experience and the strength of your portfolio of work. That means you should look for every opportunity to work on side projects outside of your classes, go for internships that apply to the industry, and expand your skill sets and capabilities outside of what’s taught in the classroom. This applies almost whatever position in the industry you’re looking for from artist, animator, designer, programmer, producer, and yes even something entry level like QA Tester (speaking from experience don’t shun the opportunity to be in QA). Alright, so you’ve got great grades, a degree from well known school, a diverse portfolio of interesting side projects, and multiple internships at studios and companies that apply directly to your focus, and you're confident enough to be able to speak comfortably during an interview about your positive personal qualities and experience, are your now owed a job within the Industry? Nope, the Game Industry is extremely competitive and even when you’ve checked all those boxes, you should anticipate a lot of rejection and difficulty landing your first position. Make yourself as flexible as possible in terms of relocating and apply to as many places as possible no matter if you’ve heard of the company or not. I applied to over 220 job positions during my last few months of college and only received a few interviews before I was offered the QA Tester position at Tripwire. Expect continuous rejection, humble yourself to not take it personally, and keep trying until your window of opportunity presents itself. When you get in the door, never take it for granted remembering the thousands behind you waiting to get on inside each just as qualified as the last. Secondly, my grandfather had a saying he reiterates to me that I have found poignant over the years; “Those who wish to look good must pay the price”. Essentially, the point he was trying to get across is that success demands hard work and sacrifice. A life of perpetual unsatisfied ambition means that each day is going to be harder than the last. Surviving it to the end means hardening your resolve to take on more responsibility at every opportunity and working harder and smarter than everyone around you even when people think it's not necessary. The opposition to overcome is not other people but rather the person you are now and distance that person is from who you want to become. Embracing that philosophy ultimately isn’t a path paved with happiness should you choose it. Rather the fruit it bears is that of fulfillment and a lasting legacy that endures long after the memory of you has faded. Would be nice if he could move the low priority bugs that have been that have been in the backburner for over 2 years now, and push them to the top for the next major update. Visual bugs like flamethrower candles moving in opposite direction, gun's chamber being permanently stuck, fleshpounds instantly charging at you when hit by a player's husk ball because they bypassed the rage animation and others. Just one major update that would focus on polishing, not adding anything new... just giving the game a good detailing.